The Sapphire’s stunning wall pattern with its soft curved frame creates a luxurious feel that is sure to satisfy even the most discriminating taste. Large and beautiful 7″ Extruded Resin Vertical Supports offers a dynamic design and assures maximum strength. 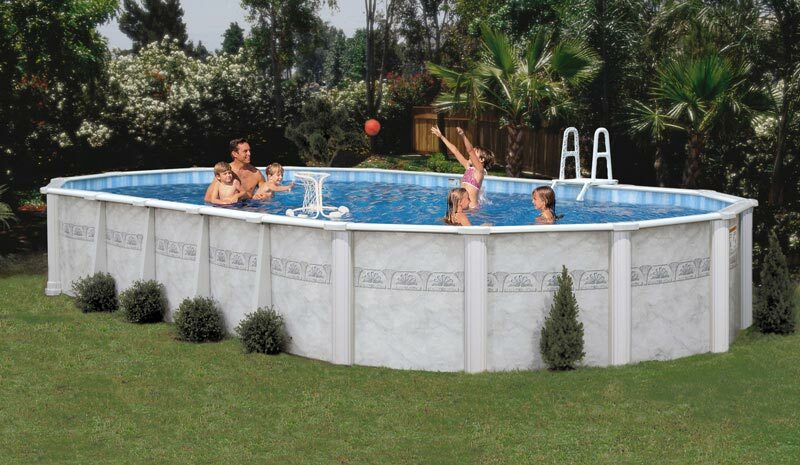 The 8″ curved, extruded top-rail system with injection molded top connectors give a smooth finish to this captivatingly-beautiful pool. It’s the perfect match for your backyard.